DUBAI, UAE: Companies and industries across the Middle East are set to increase their efforts in using alternative coolants for air-conditioners and refrigerators, following the signing of a global agreement to reduce greenhouse gas emissions. This month, more than 190 countries agreed to an amendment to the 1987 Montreal Protocol that would phase down the use of hydrofluorocarbon (HFC) materials, which are currently used in air-cooling systems, refrigerators and as blowing agents in foam for thermal insulation. This amendment is the result of efforts that began in 2015 during the Dubai Pathway meeting. By reducing the use of chemicals with high global-warming-potential (GWP), the historic amendment aims to limit the global temperature increase to no more than 0.5°C by the end of the century. Honeywell has developed and is producing next-generation, environmentally preferable alternatives that are available today under its Solstice® product line as an option to accelerate the transition from HFCs and other high-GWP materials. The company estimates that global adoption of Solstice products will reduce global greenhouse gas emissions by an equivalent of 475 million metric tons of carbon dioxide by 2025, the equivalent to removing 100 million cars from the road for one year. Solstice products include stationary, commercial refrigeration and mobile refrigerants, liquid and gaseous blowing agents, solvents and propellants based on Honeywell’s hydrofluoro-olefin (HFO) technology, which helps customers lower their carbon footprint without sacrificing end-product performance. The industry-leading Solstice® Gas Blowing Agent (GBA) has already been successfully deployed in the Middle East. 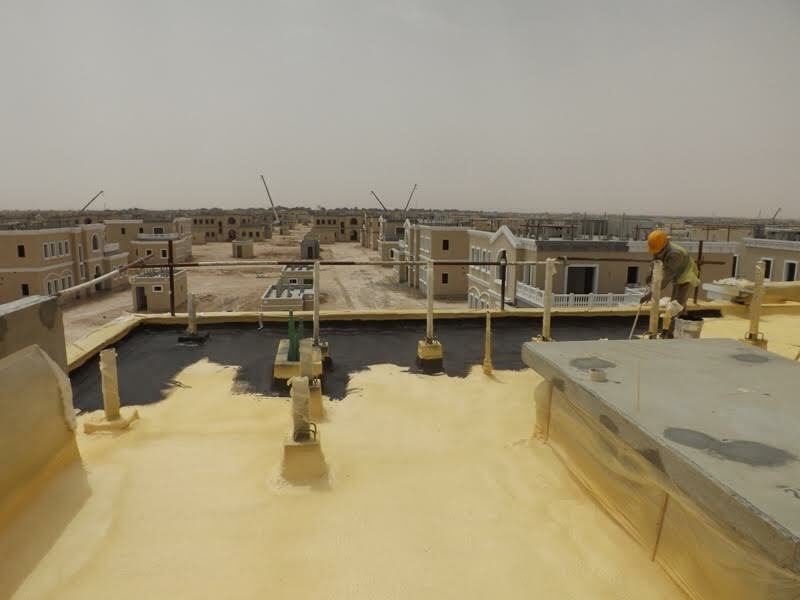 Isofoam, and insulation materials manufacturer in Kuwait, used Solstice GBA to complete successful trials for the production of extruded polystyrene, and has confirmed that Solstice GBA is a viable replacement to meet the increasing demand for high performance, low-GWP foams. Honeywell has also been collaborating with Bayer Pearl on a new polyurethane spray foam system that realizes the benefits of Solstice® Liquid Blowing Agent (LBA) to create a foam that is non-ozone-depleting, has an ultra-low GWP and is proven to be economically competitive. In addition to Solstice, Honeywell has developed an environmentally preferable and cost-effective solution to help the growing air-conditioning servicing industry. Honeywell Ekoflush & Solstice EZ Flush represents the best solution for a higher quality, cost-effective, safer and environmentally compliant flushing of equipment when retrofitting, during a compressor burnout, changing refrigerants and oil, or as preventive maintenance. Honeywell began developing HFC alternatives from the early 2000s. Honeywell and its suppliers are in the middle of a $900 million investment program in R&D and new capacity to produce next-generation refrigerants, insulation materials, aerosols and solvents, which have global warming potentials equal to or better than carbon dioxide and at least 99 percent lower than most technologies used today. Honeywell Performance Materials and Technologies (PMT) is a global leader in developing advanced materials, process technologies and automation solutions. PMT’s Advanced Materials businesses manufacture a wide variety of high-performance products, including environmentally friendlier refrigerants and materials used to manufacture end products such as bullet-resistant armor, nylon, computer chips and pharmaceutical packaging. Process technologies developed by Honeywell UOP form the foundation for most of the world’s refiners, efficiently producing gasoline, diesel, jet fuel, petrochemicals and renewable fuels. Honeywell Process Solutions business is a pioneer in automation control, instrumentation and services for the oil and gas, refining, pulp and paper, industrial power generation, chemicals and petrochemicals, biofuels, life sciences, and metals, minerals and mining industries.